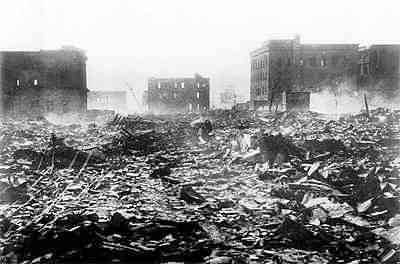 One nuclear explosion can instantly obliterate a city - a somber fact that was demonstrated twice in August 1945. 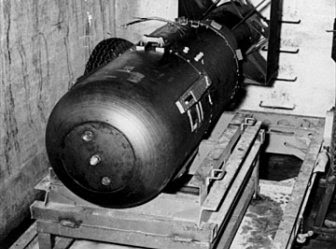 When the Atomic bomb was used in Japan cities – Hiroshima and Nagasaki. A nuclear explosion is horrendously powerful, destroying and killing by means of blast wave, wind, heat, fire and radiation. 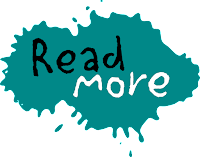 Radiation also contaminates food and water. A nuclear war would cause tons of dust to be thrown into the air, blocking sunlight and causing global temperatures to escalate. Food crops and other plants would die without food to eat, humans and animals would die of starvation. Some nine countries are said to have the capacity to launch nuclear attacks. South Africa also manufacture several complete nuclear weapons in the 1980s, but subsequently became the first country to voluntarily destroy their domestically made weapons stocks and abandon further production (1990s). A few other nations appear to be in the process of developing their own nuclear weapons. And terrorist organizations are only too eager to get hold of them (Nuclear terrorism). 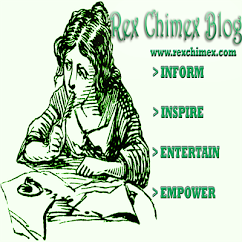 “Nuclear weapons remain the gravest and most immediate threat to human civilization….. 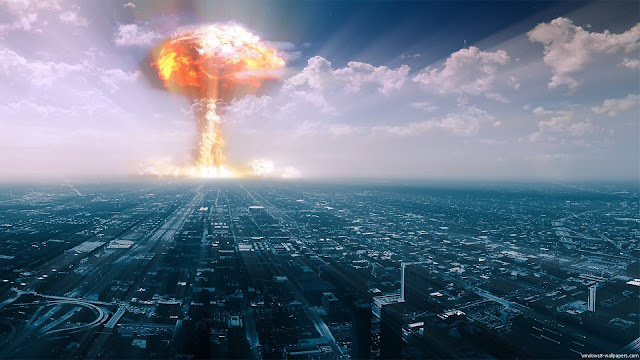 There are still some 25,000 nuclear weapons worldwide….. Eventually, terrorists will get the bomb. ”_Union of concerned Scientists. 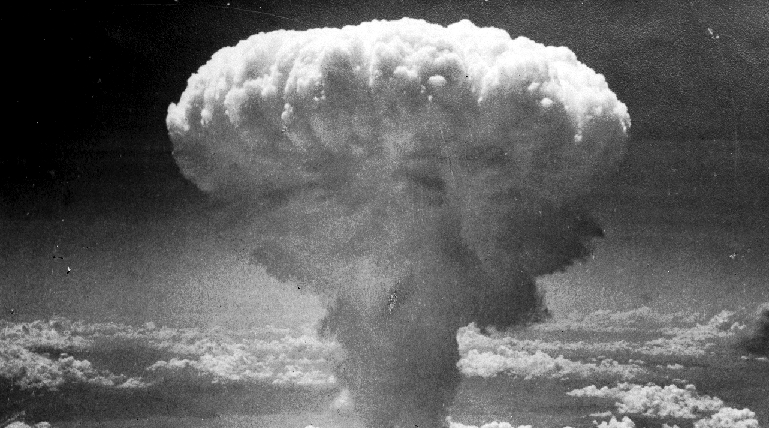 A review of what happened in the Nuclear bombing of HIROSHIMA and NAGASAKI. During the Final stage of World war II. The United States with other Allies including – United Kingdom and China, Instructed the Japanese to sign the instrument of surrender. Just as Germany signed its instrument of surrender on May 8, 1945. 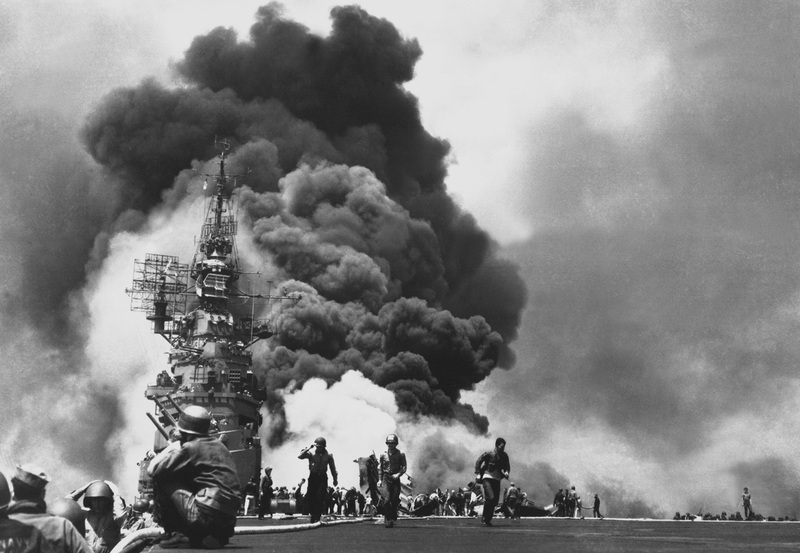 But the Japanese, were obstinate and refused to accept the Allies demand for unconditional surrender and thus the war in the Asia continent continued. The Japanese response to this ultimatum was to ignore it. 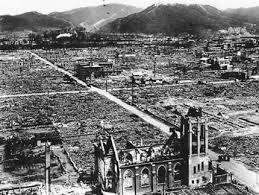 When the bomb was dropped at Hiroshima, it exploded and killed about 80,000 to 140,000 people and seriously injured 100,000 more. Crew members of the Enola Gay saw a Column of smoke rising fast and intense fires springing up. The surrounding temperature was estimate to reach over a million degrees Celsius. Eyewitnesses who were more than 5miles away, testified that the brightness of the explosion was tenfold more than that of the Sun! About 30 minutes after the explosion, a heavy rain (Black Rain) began falling in areas to the northwest of the city. This black rain was full of dirt, dust, soot and highly radioactive particles that were sucked up into the air at the time of the explosion and during the fire. It caused contamination even in areas that were very far from the explosion site. 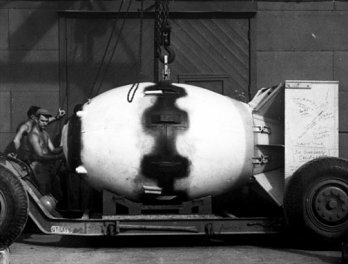 On the August 9, 1945, another American B – 29m bomber, Bock Car, left Tinian carrying a nuclear bomb called “Fat Man”. A plutonium Implosion – type bomb. On August 15, 1945, six days after the bombing of Nagasaki, Japan announced its Surrender to the Allies. On September 2, 1945, Japan signed the Instrument of surrender, effectively ending World War II. During the following months, large numbers died from the effect of the burns, radiation sickness, and other Injuries, compounded by illness and Malnutrition. War and Nuclear war should be avoided entirely. –Also, NOT in babies (ie. 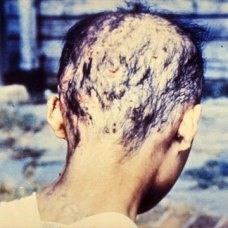 those already alive when the bomb was dropped): Horrible scarring; increase in breast cancer in women and men; thyroid problems; hair loss; diarrhea.